June | 2014 | McWane, Inc. The night of Friday, June 21, was a special night for 40 Pacific States team members who showed up to support their Relay for Life team and walk the track. They raised over $22,300 over several months prior to the event, and walked more than 141 miles that night! Rick Garcia won the paid day off (after walking 20 miles that night)! Other top Pac States walkers included Vili Kolomalu (10 miles), Philip Robertshaw (10 miles), Jeff Tracy (8 miles), Victor Guereca (7 miles), and Josh Moffitt (7 miles). Pacific States Cast Iron Pipe, based in Provo, had a large team on hand and presented a large donation to the event’s organizers. Jessica Stones, a human resources manager for the company, said they got involved after their general manager John Balian passed away from cancer three years ago. Congratulations to all the Pac States team members that helped raise money for Relay for Life this year in honor of John Balian! Bibby Ste. 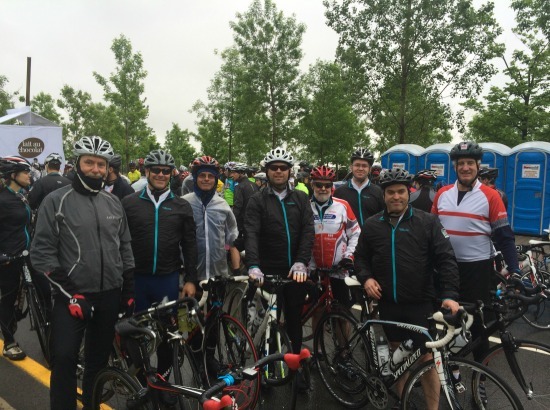 Croix team members recently had the opportunity to participate in the Défi Pierre Lavoie Challenge on June 12-15. The goal of this event is help kids make healthier choices in their everyday lives and build habits that will become the norm for future generations by promoting physical activity, healthy eating, and perseverance at school. The Grand défi Pierre Lavoie began in 2008, and became the largest health-related event to ever be organized in Quebec. The Bibby team participated in a 135 kilometer (83 mile) bike tour which raises funds for local elementary schools to promote healthy life habits. It was 68 degrees on the day of the event and they had solid rain so no one had to worry about overheating. Most of the team finished in 4.5 hours with one member finished in 5.45 hours. Fonderie Laperle team member Alain Poissant also participated in the Défi Pierre Lavoie Challenge and cycled 1000 km (635 miles). 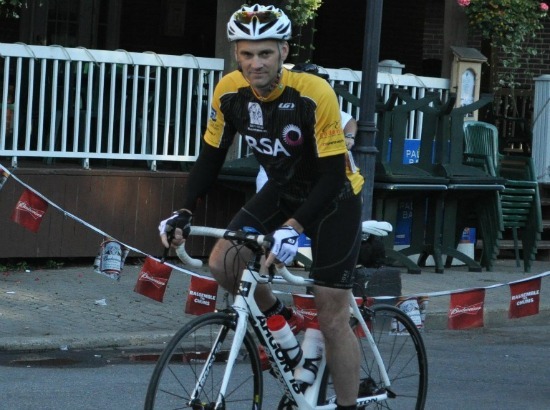 His bike tour began Thursday night, June 12, and finished Sunday afternoon, June 15, with cyclists travelling an average of 250 km (135 miles) per day. Starting out in the labor pool, Phil worked third shift for 17 years in various positions. After 49 years at Clow Water, Phil says he still likes coming to work. He recalls the early years when there were two cupolas working. Phil has seen lots of changes over the years and feels that Clow Water is a much safer place to work today. After almost 50 years of service, Phil is actually considering retiring in October. Phil’s siblings have thanked him through the years for keeping the family together and providing for them in their time of need. In case you’re wondering what become of his siblings, Mark went to Ohio State University and became a nurse; Jack attended a Career Center and become a carpenter; Scott, Dwight and Duane all work in the landscaping business, and sister Louise is now retired after working for Edmonds, Inc. To this day Louise still lives in the house their father built. Thanks, Phil, for your many years of service at Clow Water. The dedication, hard work and contribution you have made will surely be felt by the Emler family and Clow Water for generations to come! Zinwave Ltd, global providers of distributed antenna systems (DAS) for in-building wireless coverage, announced today it is working on a joint project with its sister company, Comtech Korea, to develop a future-proof Point of Interface (POI) device for in-building DAS installations. Senior staff from both companies will be available to discuss the project at CommunicAsia, taking place in Singapore from 17-20 June. Zinwave can be found on booth number BQ3-01 in the UK Pavilion. This announcement demonstrates Zinwave’s on-going commitment to accelerate product development and research into next-generation in-building solutions, further to its acquisition by McWane Inc, a privately held manufacturing company based in the US and owners of a global group of wireless technology companies. Comtech Korea specializes in designing and developing macro and in-building coverage extension solutions for the mobile operators and systems integrators. The company has quickly secured business with major Korean and Japanese operators and is now expanding into the US. Jointly designed by Zinwave and Comtech, the compact, high-performance, POI device will sit at the head-end between the base station and the distributed antenna system. It will simplify connectivity to base stations by eliminating the need for complex multi-component interface implementation systems. The POI device will be supplied alongside Zinwave’s unique wideband DAS, enabling systems integrators and neutral host providers to offer an end-to-end solution to mobile network operators (MNO), building owners and enterprise customers. Its dynamic monitoring tools (operable onsite or remotely via a web browser) will, when installed with Zinwave’s 3000 DAS, enable a fully monitored, alarmed and configurable coverage solution. The management utility also enables the POI to operate independently, which provides an opportunity to use the unit as the manageable head-end to smaller passive networks. Zinwave’s in-building DAS is the only system on the market that is truly future-proof, supporting any combination of services and frequencies between 150MHz and 2700MHz, regardless of modulation scheme or protocol, on a single hardware layer. The high performance POI device will also support all existing and emerging frequencies and services, including FDD and TDD LTE. The high performance POI device is expected to be available for global release during 2014. Solberg announced today the company has achieved FM Approval on the company’s RE-HEALING™ RF3, 3% and ARCTIC™ 3×3% ATC™ firefighting foam concentrates. 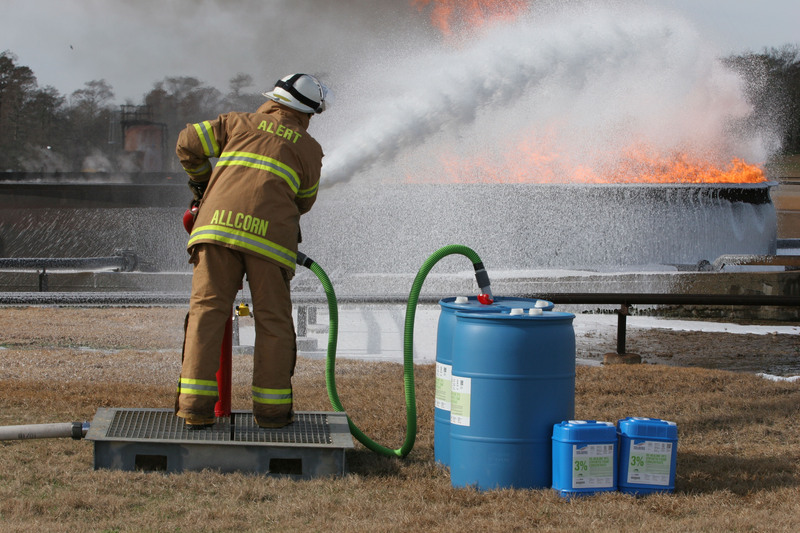 RE-HEALING Foam concentrate is a high performance fluorine-free foam concentrate for use on Class B hydrocarbon fuel fires. The product is also used to prevent re-ignition of a liquid spill and control hazardous vapors. The new FM Approval includes use with bladder tanks, proportioners, foam chambers, foam makers and fire sprinklers. RE-HEALING RF3, 3% foam concentrate is both UL Listed and FM Approved for use in automatic sprinkler systems at exactly the same application rates and sprinkler operating pressures as Aqueous Film Forming Foam (AFFF) concentrates. Equal system performance has been achieved with a completely fluorine-free concentrate that also happens to be high performance firefighting foam. Solberg has been on a roll lately! 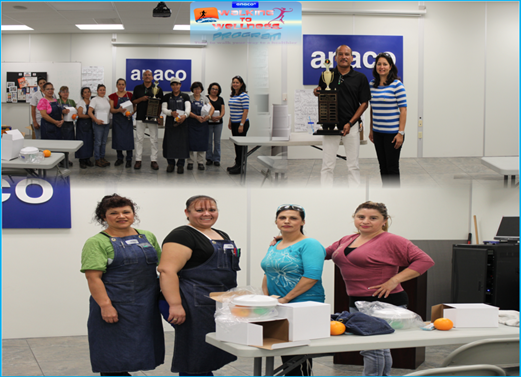 We encourage them to keep up the great work and continue to make McWane proud! 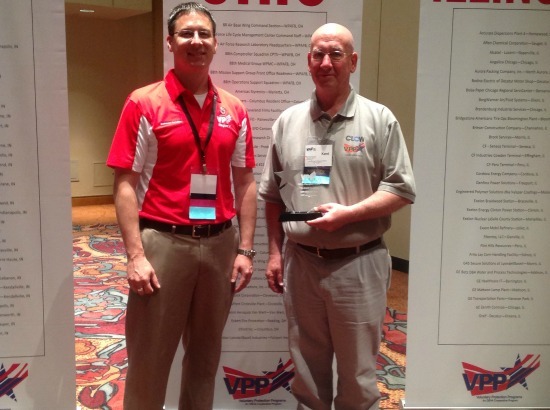 We are proud to announce that Clow Water Team Member Kent Arnold was awarded the Safety Champion Award at the Region V VPPPA Annual Conference in Indianapolis, Indiana. Kent is a third generation, 45 year employee at Clow Water System and during his tenure has filled various roles within the local USW 7014, including Union President twice. Kent currently manages the VPP Program and coordinates over 15 monthly department committees and is the driving force on their VPP Board of Directors. He also serves as a Special Government Employee (SGE). As a SGE, Kent works with Ohio OSHA one to two times a year certifying and re-certifying VPP sites. Kent travels a couple times a year to other McWane facilities to assist them in reaching their goal of VPP certification. He also manages the Safety Hazard Program at Clow Water and coordinates feedback to Team Members when needed until the hazard is fixed. Congratulations Kent! 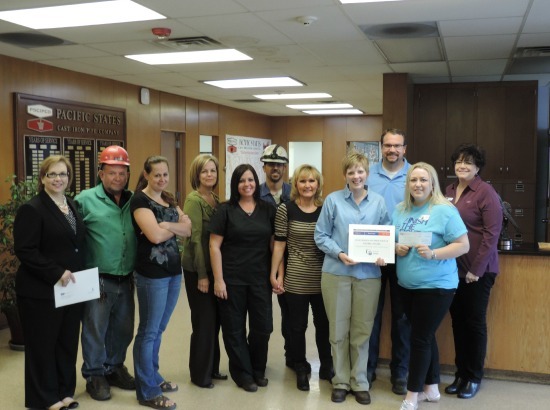 You are a true testament to the commitment to safety excellence at Clow Water! 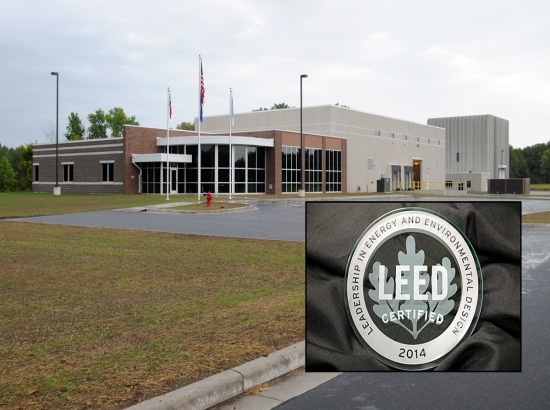 The Solberg Company announced today that the headquarters/manufacturing facility located in Green Bay, Wisconsin, has been awarded Leadership in Energy & Environmental Design (LEED) Certification. LEED is a third party certification program and the nationally accepted benchmark for the design, construction and operation of high performance green buildings. Developed by the U.S. Green Building Council (USGBC) in 2000 through a consensus based process, LEED serves as a tool for buildings of all types and sizes. LEED certification offers third party validation of a project’s green features and verifies that the building is operating exactly the way it was designed to. Solberg’s certification process took eighteen months to complete. The Green Bay facility totals 20,750 square feet (19282) of floor space within two buildings located on 10 acres of land. The manufacturing/warehouse/office building encompasses 16,650 square feet (15472). A separate 4,100 square foot (3822) building – 64 ft. high (20m) is a state-of-the-art fire research and test laboratory where firefighting foam products are developed and tested to industry compliance standards.